Phelim McDermott's production created a phantasmagorical utopia. The sets, by Julian Crouch, were influenced by eighteenth-century stage scenery, Maurice Sendak illustrations, and steampunk. The overall effect was as magically immersive as a children's book. McDermott himself described his desired effect as being that of a child's dream of opera; William Christie likened it, aptly, to Disney's Fantasia. As you may have guessed, Gentle Readers, there is a "but" of explosive force upon my lips (Phantom Tollbooth reference intentional.) I saw little meaningful or coherent development of character or plot. I anticipate your incredulous responses: yes, both Shakespeare and Handel, upon whose work the evening was substantially based, were masters of psychological insight. The Enchanted Island was not. Jeremy Sams' libretto had moments of subtlety and insight which left me waiting--eagerly and in vain--to see them developed. It was very clever, but sometimes too clever by half. The possibilities of exploring questions of gender, power, and colonization were acknowledged and passed over, in favor, it seemed, of a quartet of lovers, a series of spells, and a dizzying succession of arias. The contrivances whirled by at a pace requiring music originally intended for emotional exploration to serve the needs of exposition. The fine cast gave committed performances, but I wish they had had a better vehicle. Miranda was, perhaps inevitably, dramatically bland, but the gorgeous tone of Lisette Oropesa gave the role some weight and sympathy notwithstanding. I had been hoping that Sycorax would be given more depth and nuance, more righteous anger, and more agency, than The Tempest accords her. After all, they'd gotten Joyce DiDonato to sing the role! Despite this, Sycorax remained, well, an evil sorceress. Except when she was a well-meaning mother. I didn't think the role was made consistent or compelling, and DiDonato singing Handel's "Morirò, ma vendicata," Vivaldi's "Se lento ancora il fulmine" and Leclair's "Noires divinités," inter alia, could not save it. (Whether it was me, her, or the evil-queen-from-Snow-White costume, I didn't find DiDonato as engaged/engaging as I usually have.) I did find her lament for Caliban's grief (taken from a cantata on Il pianto di Maria) very moving, and very beautifully sung. To my surprise, Caliban--poor, misshapen, frustrated Caliban--was my favorite character. Luca Pisaroni sang with excellent diction, dramatic ferocity, and impressive agility. (Cf. his "O voi dell'Erebo" from 2010.) Danielle De Niese's Ariel was, appropriately enough for that endearing little egoist, a close cousin of Peter Pan. Her tone could turn edgy at the top of her range, and she seemed to struggle a bit with the murderous consonant clusters of her opening aria. Her energy, though, was commendable, and her comic timing good. Although I found its placing in the opera confusing, De Niese acquitted herself surprisingly well in "Agitata da due venti," despite being inexplicably interrupted by the audience. David Daniels, as Prospero, seemed to take some time to warm up fully, but contributed sweet, lyrical singing in Handel's "Pena tiranna" and "Ch'io parta?" William Christie drew graceful playing from the Met orchestra, with a light touch, but more seriousness of purpose than the drama displayed. Significantly, when David Daniels quotes Prospero's speech from Tempest IV.i ("Our revels now are ended...") the lines where he meditates on mortality are cut. All that's left are the actor spirits, the cloud-capped towers and gorgeous palaces--an all too insubstantial pageant. You know, I'm both saddened by this, and not at all surprised. You say "Baroque pastiche" at me, and I'm going to give you a side-eye. Say "Midsummer Night's Dream meets The Tempest", and I'm going to cross myself and spit. I wasn't sure it would work at all, but I had such hope. Still, I'm going to see the broadcast in a few weeks. If nothing else, it will be a very pretty evening. @Molly Yes he was wonderful a few months back at a Saturday afternoon recital at Wigmore Hall. Seemed very engaged with the text and surely possesses an engaging stage presence. I'm very glad that my initial impression of Elizabeth DeShong (who I saw as Cenerentola) is proving to be valid. @Molly @georgios1978 Thanks for commenting! I hadn't heard Pisaroni before this fall, but he's certainly impressed me on each occasion (two Don Gs, some arias at LPR) and gave the standout performance on Saturday. Glad to hear good things of him in recital too. @Christie Just imagining your vivid responses gave me a chuckle. McDermott's work was, however unavailingly, quite creative, and absolutely gorgeous. @Lucy: Have you seen Pisaroni's twitter? He's a riot. Really funny, silly guy, with two dogs. @DTO Just missed seeing your comment earlier; sorry! Hopefully we'll soon get to hear DeShong in material where she gets to shine even more. @Christie I have, occasionally, but a lot of Twitter has gone unread in a busy autumn... I'll look it up. "His singing ... could not be called effortless..." He. "Her singing could turn edgy at the top of the range...." Her energy, though, was commendable...." Hehe. A professor(in) not only of Middle Age history but rather emphatic understatement, one must say. Still, the basic burden of the review is quite clear and leaves one at something of a loss. One can't always have substance or even quality entertainment in an opera plot (in a somewhat euphemistic mood myself) but this seems an especially unfortunate missed opportunity and the "Pastiche" a bit patronizing. As Zerbinetta, among other has commented, a real live Baroque opera would have been much more desirable. All that said, this seems like it was reasonably well performed, different and in some respects almost satisfying. Since one will be forced to spend a week in mid-January in New York (even as my eagerly anticipated Bavarian Opera Adventure is turning into rather hideous Alptraum) one might chance to abholt a Karte if opportunity presents itself. And yeh, Pisaroni is very very good indeed. I don't know that I'd put him in the Furlanetto class (and the voices are really in some respects quite different) but generally he is surpassed by few today in large chunks of his repertoire. The purpose for doing this is what? You can't understand what they're saying, and it's long and tedious just like the real operas. I should save my comments for later. I always hope--egotist that I am--that my unrestrained praise of Furlanetto at the LA opera helped to boost his career to its present level. @Dr. B. As to the purpose, ask Peter Gelb. Or Jeremy Sams. I don't know. I actually didn't have trouble understanding the singers, though. Tedious like what operas? Zerbinetta's cogent observation was that Island's lack of thematic/dramatic cohesion contributed to its langueurs. Atys is longer, but flew by for me. The Handel I've seen has been pre-filtered by the criterion of being deemed worthy of DVD, but I've yet to meet one I dislike. Xerxes is tedious. All my friends left early. I think I blogged this subject already. I've liked everything I've seen in Zurich. An Alptraum indeed. Was supposed to be attend my second Vorsetllung today. Am in NYC by did make it earlier DC. Ahhhhhhh. As for Enchanted Island ... Well, must confess to loathing the Gelb ear. Appreciate the promotional successes and skill in technical aspects of handling the very difficult task of running an opera house of this scale. 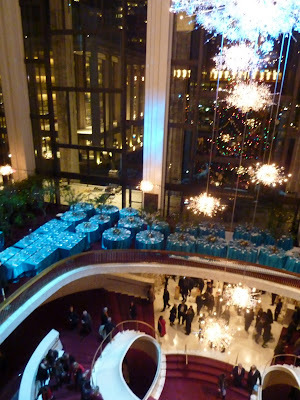 Met has much to offer, but then again it is the Met and not entirely dependent on management in this respect. Generally the consistently poor quality of new productions, high expense and repertoire and singer selection leave a lot to be desired and indeed not with some mythical long lost past but (at least with respect to the latter 2) the Volpe directorship. And then there are Gelb's pretensions. "The Man Who Saved Opera" according to one publication or another. The "man who discovered Anna Netrebko and made her a star" per the Gray Lady. Discovered. At a quaint little musical event in Salzburg singing a leading role in a new Traviata production with scalped ticket going for 1500 Euro. Discovered. 3 and 1/2 years after her Met Debut. Discovered. 3 years after her debut as Donna Anna in a festival opening production of Don Giovanni that coincided with the announcement of her new contract with DG. Discovered. Really this makes the claims of Speaker Gingrich, Creator of 27 million new jobs and Winner of the Cold War look modest by comparison. Getting back to EI, I'm at something of a loss to quantify or qualify the intensity and violence with which I loath the concept of a "Star Studded" "Pastiche" to "Introduce" the "New York Audience" to "Baroque" Opera. Having said ALL THAT (and as the FDLP knows one is not in the habit of saying in less than 17 words that which is better said in 1 and often better not said at all) I absolutely loved it!! The plot quality was notably bellow pedestrian some of the performances less than satisfying (consistent with the FDLP's excellent review above) but the musical selections generally excellent, the production, subject to the poor quality of the substance, very good, many of the performances superb and the variety much appreciated. I enjoyed it much more than I anticipated and while I would not want to encourage other similar ventures in the future I would characterize this venture as something of a success. I'm not sure I can even parse your travel schedule! but I hope it sorts itself out soon. I've also been irked by the magniloquent posturing of Gelb (or some branch of the publicity department for him.) Your comparative sense of his administration to the previous is disquieting. With obstinate optimism, however, I'm hoping that some of the weaknesses of past seasons may be corrected for. Your quotation marks do an admirable job of deflating the really insulting pretensions of this undertaking (or pretensions that were tacked on to it.) I'm glad you enjoyed it, though! I agree that McDermott's clever and striking production deserved far better material. The haphazard compilation of selections undermined my pleasure in them, I'm afraid, but I'm glad you also found that the singing redeemed much of it. Again I don't mean to suggest that the Volpe era was some world historical landmark. To a significant extent its a matter of taste in repertoire and singers. My taste isn't particularly sophisticated, refined or unorthodox but for me 2000-2001 and 2001-2002 could hardly have been improved upon if the Met had come to me and asked for requests. The surrounding seasons were not much worse but there has been a noticeable drop of in the Gelb era (and this is not, I don't think the case only because I have become so familiar with some of the works over time - I'm missing both real novelty and revival of favorites). I take note, however, that the FDPL has been taking advantage of the various interesting offering an other New York venue while, seemingly, going less often to the Met. Its terrific that such options exists but one wonders. And lastly, tacky as it is, $$$$$$$$$. Its in poor taste to discuss it but its noteworthy that the prices at the Met have risen MUCH higher and MUCH faster than at other comparable venues. Mr. Gelb was very considerate in taking a pay cut in view of economic circumstances but his salary remains more than 2 and 1/2 times that of Volpe. By contrast, singers' fees at the Met have risen roughly 50% in absolute terms and with inflation might actually have decreased in constant $$$. This relationship between the costs to attendees, remuneration for singers and Mr. Gelb's compensation seems perhaps not a little curious. In any case, the Gotterdamerung proved a bit disappointing but at least no one got hurt, which is something. Of to Munchen with some (probably excessive) expectations for the new Ring. (Hopefully I'll be able to got to the Walkure - some issues with travel, once again). The FDPL's posts will be read with care and pleasure not just for the revealing info on NYC operatic goings on but their notable literary value. Thanks for your kind words; gute Reise, und viel Spaß in München! As you probably know, I liked this quite a lot. I notice you refer to what the pieces originally were. I wrote to the Met to try to get them to send me this, but got no response. Do you have anything you could send me? Prospero becomes a minor character. I did find that rather strange. Ariel sank the wrong boat--your missing plot element. All I have is the still-available page from the Met website; I've fixed the link here and e-mailed you a copy. Prospero's frustrating lack of character development was indeed not the least of the strangenesses with which we were faced. Sigh. I do recognize that, in a technical sense, Ariel is responsible for the lovers ending up on the island, but my WHY is, I'm afraid, a cry for meaning which I failed to spot amid the shenanigans.